This week was the start of my second term in the game development course at Sheridan, and I can tell that it will be full of new challenges and I am really excited! – A network car race game, with a procedural generated track! – A 2D multi-platform RPG game which I will be working on with a team on Unity 3D. 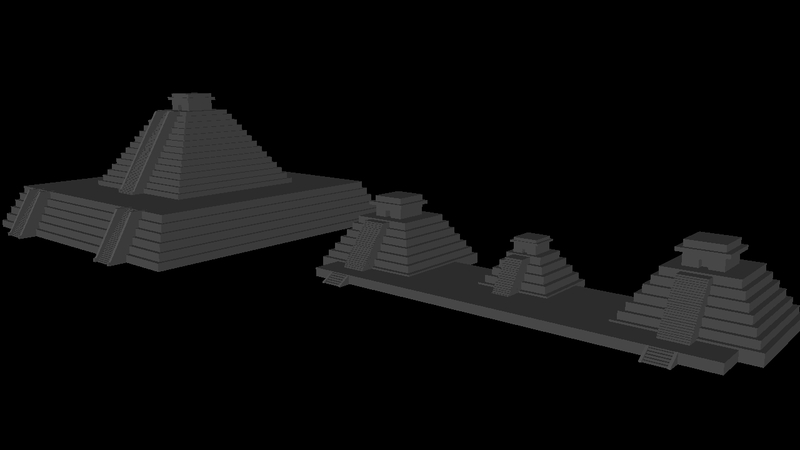 At the same time, I want to continue with my mayan civilization idea that I proposed. I will try to work on it step by step but so far I have modeled most of the settings I will be using for a prototype. 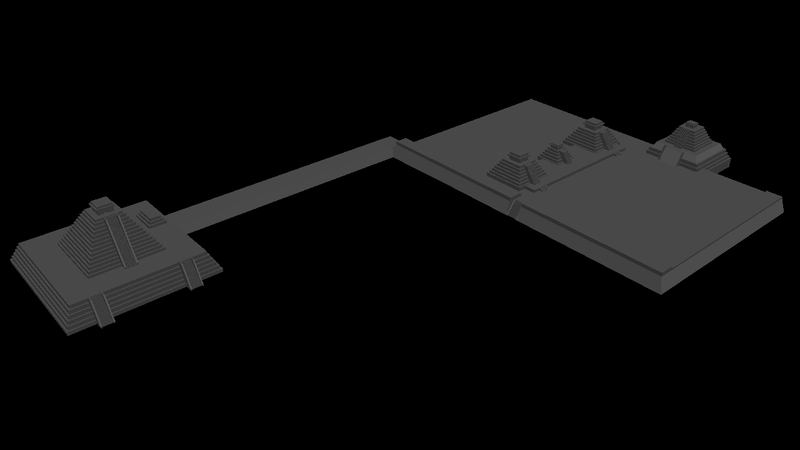 The next step will be to add textures, and then move the models into Zbrush to add more detail! This will also allow me to familiarize myself with Zbrush since I might be using it to create 3D assets for the Capstone project. After I have added the detail I want to the models, I will be importing these into the Unreal Engine in order to create the terrain!